Hey guys! Lauren here with The Big Tamale 30A TV; we’re at Balance Health Studio in Seagrove Beach and Kelli Precourt is about to teach us some yoga, so come on in. Let’s get our Namaste on. Wooo! Come join us guys. Hi everyone my name is Lauren Cantenese and I’m so excited to share with you my new tv show called The Big Tamale. So, What is The Big Tamale? Well it’s going to be a show that I hope will inspire, teach, bring awareness all about the health consciousness of our community, mind, body and spirit. So we’re going to have yoga talks to meditations to what do you buy when you go to the grocery store to highlighting local businesses in the area like acupuncture, float therapy, chiropractors, the different various things that we have in our community to enrich your overall mind, body and spirit so that you are happy and peaceful and living a more joyful life. 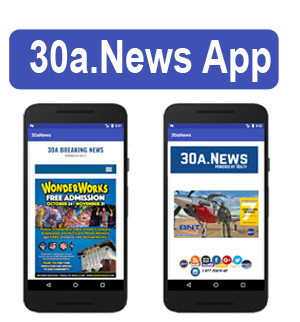 So if you’re interested in being a sponsor, advertising networking with your business, have a great idea for our show, please send it to us lauren@30a.tv we’re also going to have a happy news channel where we talk about the positive things that are going on our community. So my hope for the show is that it just shines so much love and lie into our community, into everyone’s lives that comes here and shares with us. So stay tuned I hope you enjoy it The Big Tamale coming up. Go to your heart. Take a moment to acknowledge all of your teachers, and they show up in many different ways. We acknowledge the teacher of creation, the teacher that shows up, that supports us, the teacher that transforms us and our own inner teacher. Take a moment to think of someone you want to dedicate your practice to. And now every prayer and moment is in our prayer to them. Take a big exhale and exhale all away and open your eyes. Hi there! I am Kelly from Balance Health Studio and I’m here with some beautiful friends and this morning we’re going to warm you up. We’re going to get you to move your body. We’re going to get you to breath and hopefully when you’re done you’re going to feel a little bit more grounded, a little bit more open, and just ready to start your day. Good? Alright. Hands and knees. So you’re going to start with your knees the distance of your hips; your fingers spread wide and then you’re going to root down the pads of your fingers on and inhale; drop your belly down, heart forward, belly back; and then exhale your breath around your spine all the way. Press deep into your hands into your limbs. Beautiful. Close your eyes. AS your belly drops, inhale. Heart forward, tail bone back and then exhale empty. So just take a moment really to connect with your body and your breath. So whatever you have done today or whatever you need to do is now all about you. Take in some time just to feel. 3 more full breaths. Good. So empty all the way; blowing for a full inhale. Last one. Very nice. Go ahead and slide your left hand, just in the center of your mat; root down to the left hand as you inhale reach your arm up to the sky. Take a deep breath; really long in your spine. Exhale; drop your left shoulder down. So drop it all the way down and then you’re going to reach your left arm up to the sky and then as you do that maybe the left hand slides to the outside of your right hip. Good. And then as you’re here continue to deepen your breath and then maybe shift your hips to the left. Turn to the right. So just really start to feel in your body maybe where you’re a little tight, where there’s congestion. Stay here for three full breaths. So I should hear all y’all breathing. Good and then any little movement that feels good. Awesome. Come on back up. Opposite side. Right hand right at the center. Root down to your knees. Inhale left hand up and then you’re going to exhale drop your left shoulder down to the ground. See if you can snuggle in a little bit more and then the right arm up to the sky. The your elbow. Right hand by your left hip. So as you get here again maybe shimmy into the left, into the right knee. Just take in some time again to connect to your body. Connect with your breadth and allow this time to be about you just filling up your own cup. Good, two more full breaths. Nice. You’re going to use the right hand to press yourself up and then curl your tows under. Downward facing dog. So, once you get to your downward facing dog, allow the distance of your feet to be the distance of your hips. Look at your fingers, so I want you to look at your hands. Make sure that you are spread wide again. You’re going to root down to the pads of your fingers and then just kind of shimmy from side to side and I want to hear your breath again so it’s really deep and rhythmic. Our breath is a tool that we can use when we are stressed. It’s a tool that we can use to help ground us in our lives. Good. So take a big ol’ breath so as you [?] look forward step your right foot to the top of your head. Guys just sink your hips and reach your heart forward and then left foot steps forward, flat back and now you can place your hand on your chin and then exhale fold all the way. Empty the breath. Come up to standing press your deep feet press to the floor. High to the sky inhale. And then as you exhale fold forward. So Michelle behind me is going to modify all of the postures. You can see she’s using the yoga prop. Now flat back. Exhale bend your knees. Send your right foot back. Good left foot back. Hold the push up. Michelle will drop to the floor. Big breath. Exhale all the way down. Strong in your clads. Beautiful. Just your chest up, try to flip your hands. Cobra. Good. Exhale lower and lengthen. And then loose up and ease to the right. So just a little twisted cobra. Lower and lengthen. Nice. And then up and to your left. So kind of get really fluid with your movements. Slide your hands behind your back. Interrelate your fingers. Chest up. Now look down. I want you to look down. Whatever you’re on a yoga mat. You’re on your carpet. Keep looking down and nice and long in your spine. Give me another full inhale and then as you exhale, hands under your shoulders. Curl your toes under with your knees and quads up, elbows in. Now press up the plank. Yes. Down low. There we go. Peddle, wiggle, move, whatever feels good. You can lift the leg to really press deep into your hands. Good then see if you can get your legs really engaged in your downward facing dog so you’re pressing your quads back. Your heels don’t have to touch the ground. Take a big inhale and then bend your knees. Gaze forward, left foot up. So top of the mat, hips sink low, heart forward. Right foot forward. Flat back you can have your hands on your chins. Exhale fold, empty all you’ve got away. Come up to standing arms reach high to the sky. All the way up. Exhale fold. Empty the breath. Flat back inhale. Exhale bend your knees. Push your left foot back. Good. And then right foot back. Take a deep breath. Upper body lower as you exhale. All the way down. Again cobra, center. Pressing on the tops of your feet. Exhale lower and lengthen. Good. And then up into your right. Keep your elbows in and can you get really fluid with your movements. So almost like this quality of water. Exhale lower. Lengthen. Hands behind your back in this intertwine the fingers. Chest up. Feet up. Good. See if you can get your hands away from your booty. Maybe another half an inch. Full breath and then exhale. Hands under your shoulders. Curl your toes under. Knees up and quads left. Elbows in. Press up the plank. Come on and bend down dog. Good. And then peddle, wiggle and move. Then 3 full breaths. You’re going to bend your knees, gaze forward and this time step or hop your feet to the top of your mat. Fold as you exhale. Come up to standing, reach high to the sky. So we’re going to be back and we’re going to bring back some more dynamic standing postures with us. See you later. I’m Kelly with Balanced Health Studio. We’re here in Seagrove and I’m here with some beautiful ladies practicing a little bit of yoga. We just did a little warm up and now we’re going to move up to a little bit more of a more dynamic movement series. Michelle is back here in the purple and Michelle’s going to show you modifications. She’ll put her knee on the earth and she’s also using some yoga props, like the yoga egg, but she’s sitting on some blocks that she’s going to use. So if you have something like this at home you can use books as well, it helps you if you’re a little bit, maybe stiff in the hamstrings or tight in the hamstrings or you just need a little of support. So, we’re going to start in downward facing dog. Yes. So back to downward facing dog. And again, feet are spread the distance of your hips. Fingers are spread wide. You’re going to reach your right foot high to the sky. Take a big inhale and then as you exhale step your right foot forward in between the hands. Keep your left hand in the Earth, reach your right hand up to the sky. So we’re just trying to create a lot of length and space in your spine. So the back leg is super strong and straight. Nice. And then if Michelle wanted to, she doesn’t have to, if she felt like its was a lot of work for her she could put her left knee down to the ground. Good. Take a big breath here everyone. Looks good. Right hand down. Step your right foot to plank. You’re going to lower all the way to the ground again. Keeps your elbows in . Take cobra, just one time. Good, lower and lengthen and back to downward facing dog. Left foot up to the sky, take big inhale and then as you exhale left foot forward. Keep your right hand on the earth, left hand up to the sky. Now you’re going to rotate your left shoulder, left rib cage up to the sky and then straighten out your back right knee. Most important thing is that you’re breathing . Yeah. There we go. Big breath. Take another full inhale, and as you exhale left hand down. Left foot back to plank. Inhale really deeply and then exhale lower all the way down. Nice. Cobra. Take a big breath in, press into your hands. Exhale lower and lengthen and then back to downward facing dog. So, right foot up to the sky. Big breath. Step your right foot forward and you’re going to come up to crescent lounge. Arms up over head. So again if you want to back knee can be on the ground or if you want to work a little bit more you can keep the left knee off up the floor. And then you’re going to spread your fingers wide, sinking really deep. Nice. Lean back just a little bit. Awesome and the look up through your heart. You’re going to take five full breaths. Give me another full inhale. Nice. Hands down. Step back to plank. Take a deep breath and plank. Lower all the way down. Cobra inhale and then exhale lower. Good and back to down dog. Nice yoga pose. Left foot up, take a big breath. Bring your left foot forward, up to crescent. Press deep into the left foot. You’re going to float the arms up. Back to crescent lunge. So we’re creating a lot of space and length on the right side of our bodies. And the hip flexers and the sowas. I want you to get deep, so you’re going to sink deep into that left knee so you’re working the left side. Reach the arms up even more. Good. Heart up. Lower ribs in. And send your breath everywhere throughout the body. Two more. So you’re watching us on 30A TV right now. The Big Tamale show; and if you want to spend a little time with us we’re in Seagrove at Balance Health Studio. Hands down. Nice ladies. Step back to plank. Lower. Cobra. Nice. And back to down dog. So this is going to create a lot of blood flow. Maybe a little bit of sweating and it’s good. It’s good for our bodies. We would have to, we need to sweat. Left food up. Take a big breath, step forward. You’re going to lay your back foot flat. Right hand in front, left one behind. So look at your feet, right heel will intercept the back. Left arched. You’re going to sink nice and deep. Make sure we’re keeping our hands at our heart instead of reaching out because that’s going to be a little bit more. [?] Under your knee a little bit more. Really long in your spine. Tail bone down. Lower [?]. And then we’re going to take reverse [?] with your left hand at the back of the leg. Right arm up. So we’re going to stay deep in the lunge. Your heart up to the sky. Keep breathing. Take another deep breath. Good. Back to Warrior 2. Straighten out your right knee and then right hand to your chin and we block to your big toe to the floor. Look up. You want to make sure you lean back a little bit. Yeah nice. Lean back. Michelle’s using her block. Three deep breaths. Take another big inhale and then bend your right knee, place your hands in front of your mat. Step back to plank. So maybe for this time you go half way down and take upward facing dog or you go all the way, you decided what’s right for you. Back in down dog. Return to your breath. Left foot up. Take a big breath in. Step your left foot forward. Warrior 2, drop your foot back. Right one behind. So you want to take a long stance, something that is going to challenge you. Not only in the strength that you’re building but also flexibility. Shoulders over the hips. Deepen the breath. Right hand back in the [?]. So you’re going to stay deep in the lunge. Listening to your feet. Back to Warrior 2. Straighten out your left knee. Awesome. Hinge forward left hand to your chin. Right arm up to the sky. So we’ll fade out of here but when you come back we’re going to do a little bit of balancing postures. Take another deep breath. Hand down. Bend your knee. Step back to plank. Lower. Cobra. Good. Hey this s Kelly with Balance 30A in Seagrove and this is Molly in 30A TV with this lady and we are halfway through our yoga sequence and right now we’re going back to downward facing dog so I’d like you to join us. Alright so from downward facing dog root down. Again, your feet . You’re going to inhale your feet up. Keep your hips square. Step your right foot forward. Come up to crescent lunge you’re going to reach up your hands over your head. So from here put your hands to your heart’s center. I want you to pull your rib cage in and then you’re going to hinge forward balancing on just your right foot. So you’re going to notice Michelle is going to have her hands right in her heart’s center, just going to tip her left hip down and then the other three ladies are going to reach their arms out to golf or by your hips. Most important thing here is that you are keeping it at hips level so you’re hips are square and breathing. You could always use the floor or props. Michelle could use her block right now if she wanted to. Good. Reach your heart forward. Left knee straight. Good. Take another deep breath. And then bend your right knee. Left foot back to crescent. Put your arms up. There we go. Good and then hands down. So then hands to the Earth, you can position however you want, you can step back to down dog, which I’m going to do. You can Vinyasa like Rebecca in the back corner. Or just like Emma. So however you want to kind of transition between the right side and the left side is up to you. Left foot lifts up take a deep breath. Step your left foot forward. So you’re going to get really rooted down and crescent left foot to the Earth, arms reach up. Good. And then hands up at your heart’s center. Pull your low belly in. Step forward. Heart forward. Right heel back. Royal 3. OK, so the hands can stay at your heart, they can be by your hips or you can reach them out like Superman. Hips are square. So maybe even softening the left foot. Take another big inhale. Good. So exhale soft take the left knee back. Crescent. Yes. And then hands down transition however you like. Right foot up to the sky take a big inhale. Good. And then step your right foot forward. You’re going to slide your hands down at about ten inches left foot off the floor. Keep the fingers pads on the Earth. The left foot is reaching back and then the right hand is going to stay. Place your left hand on your hip and then begin to open up your belly button and your heart to the left. And then you’re going to reach maybe the left hand up to the sky. OK. So half-moon. Nice. Open up this a little bit more. Yeey! Very nice so you can use…[?] You can see Michelle has a block. Three more full breaths. Drop this a little bit. Nice ladies. It’s good breathing. And then to come out. Place your left hand off the ground. Place your shoulders in your hips. Bend your right knee then send your left foot way back to crescent arms up. Very nice and then transition however you like. Hands to the Earth. Down dog. Vinyasa. Even child’s pose. But your left foot up and back. Slowly step forward. Good. Shift your hands forward. Keep them on the Earth. Left foot on the Earth. Right hand is going to reach up to the sky. You open up your hips. Good. Flex your right foot. And then allow your right arm to reach up. So you’re radiating all directions. Three more breaths. Really nice. Go ahead and bend your knee. Hands to the Earth. Square of the hips and shoulders. Put the foot way back. Crescent. Nice. And then hands down. And transition. So yeah, it can be Down Dog, it could Child’s on your knees. You can Vinyasa. Lauren’s talking a nice child’s pose. Good. And start to really cool the body down now. Right. Right foot up to the sky. Take a big breath. You’re going to slide your right knee towards your right wrist into pigeon. So the outer edge of your right foot is going to the Earth. Slide your left knee back. You’re going to see Michelle is modifying her pigeon by lying on her back. She’s going to place the outer right ankle on her left knee and she draws her left knee towards her chest. That’s a really nice modification if you have any knee pain or maybe you just don’t feel the hip stretch on the right side. So we have the option to stay up or feel a deeper structure with hip flexers or you move forward. Decide what’s best for you, but we’re going to get a nice little stretch and outer hip. That’s fine. Yes. Go really deep with your breath. OK, just three more breaths. And you’re going to slowly lift yourself up. Rock to your right hip and then swing your left leg up and over. You’re going to cling your left foot to the outside of your right leg. Drop your left sitting bone down on the group. Right hand up. Inhale. And then as you exhale twist to your left spine. Nice and long. So when we twist we want to keep our spine long. Left knee close to the right rib cage. Good. Three deep breaths. Nice. And slowly coming back to center. Extend your left foot out. Place your right foot on the inside of your left leg. You’re going to keep your left leg rally active. Press your left heel down. Inhale. Right arm up. Big inhale. Good and as you exhale fold forward. So imagine your heart sliding to the outer edge of your left leg. So the quads are really active here. Press down so there’s a lot of muscle energy in your leg. And another full inhale and then as you exhale lift yourself up. Spine nice and long. So lift, lift, lift and then just turn to your right. Nice ladies. And then we’re going back to center. Back to pigeon on the left side. So you can bend the knee and slide your right leg back or enter from downward facing dog. And then either folding forward or standing up. So when we do all these structures we want to be willing to get a little bit uncomfortable in the stretch, meaning that we feel that there is some change taking place. And we’re going to use out breath to get through that discomfort. Good. Take another full inhale. And then as you exhale lift yourself up if you’re falling forward. Rock to your left hip. Swing your back leg up and over. Right foot roots down. Good. Right sitting bone down. Right hand on the Earth. Left hand up and inhale and then exhale. Twist to your right. Spine remains long as you twist. Good. Take another full inhale. And then as you exhale back to the center extend your right leg out. Left foot on the inside of your leg. Right hand by your hip and hold lift up and then as you exhale fold forward. Again the right leg is really active; you’re going to press your quads down. Right heel presses down and the right foot is flexed. And then last full breath. Come on all the way up. Soles of your feet together. You can draw your heels in towards your body. Take a big breath in, reach the top of your head up. Exhale folding forward. You’re going to stay here for three breaths. So after the ladies complete their 3 breaths, we’re going to prepare for Shivasana, which is out final resting posture in this practice, and it basically consists of doing nothing, so what they’re going to do is lift themselves up and they’re going to lie flat on their back. Flat on their back. Feet are a little bit wider than hips. Palms are going to rotate up towards the sky. You’re going to allow the shoulder blades to root down to the Earth. So for most of us this is the most challenging posture because we’re actually doing nothing and as a culture we’re just programmed to do all the time. So Shivasana is a way for us to have closure to our practice and actually do nothing. So it’s flat. Take another big inhale. Exhale all the way out. Start to wiggle your fingers and your toes. Put your arms up over your head. Then I want you to roll to one side and then rock on one side. Pause there for a moment. Then I want you to acknowledge yourself for taking time for you. And in order for us to be the best versions of us to our loved ones we need to nourish ourselves. You’re going to press yourself up to seated. Sit nice and tall. If you want to grab a block you can sit on the block . Spine nice and long. Hands right at your heart. Bow to your heart. To your many teachers. To yourself and to your dedication. The divine light in me honors the divine light in you. Namaste. That was really fun. Stay tuned for more yoga on The Big Tamale in 30A TV. If you want to see more of this or you want to experience it in person, come see us at balance 30A, Balance Health Studio right here in Seagrove Beach. Thank you. Namaste.